The Kunkle Star party is SHUTDOWN due to weather. No plans to reschedule this year. Not only is the Kunkle Park Star party the last at this site for this year, it’s the last off-site SP for the 2015 season. 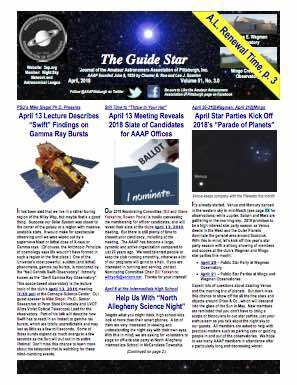 This AAAP off-site star party takes place October 3, 2015 starting around sunset, in Kunkle Park, Washington Township, Westmoreland County. Of course, if weather is bad that day, the party is cancelled. Kunkle park is about 5 minutes south of Apollo, PA and about a half-mile off State Route 66. If you would like to help at this dark-sky venue, or have any questions therein, contact Terry at treest@comcast.net or 724-337-3231.